In January, I went Into the Zulu Kingdom with travel writer extraordinaire, George W. Stone, for National Geographic Traveler magazine. The folks at Traveler already knew I was in love with South Africa from a piece I shot for them a few years ago and I was more than happy to return to explore a different area of the country. George and I, with the unfailing support of our fixer Rhys, made it our mission to discover the highlights of the province of KwaZulu-Natal. We ventured to the near unpronounceable iSimangaliso Wetland Park and were rendered speechless by the wildlife we spotted. We explored Zulu culture in the beautiful rolling hills outside of Durban. And while in the Northern Drakensberg Mountains, we went in search of the world’s second tallest waterfall only to be foiled by fog and spoiled by other gorgeous vistas. And then there was Durban. 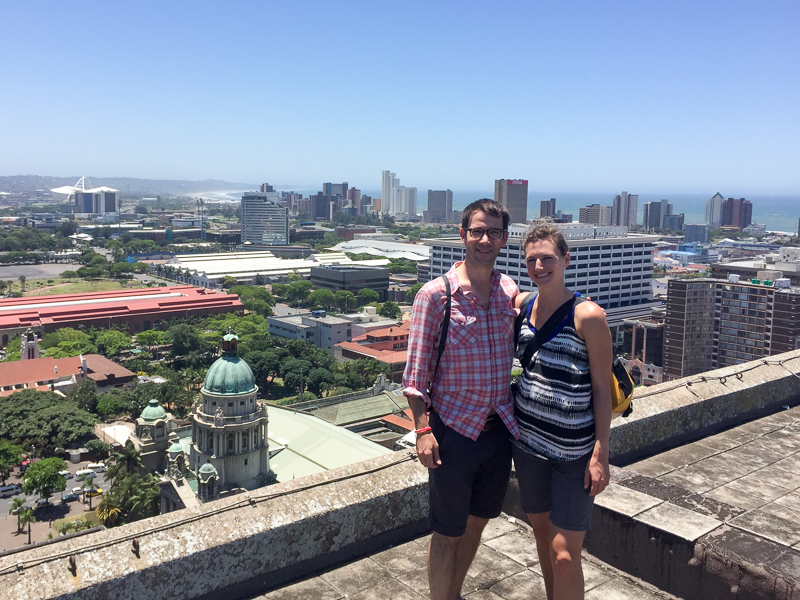 We got to explore this breezy city on the banks of the Indian Ocean and its rainbow of cultures, flavors, and activities. We sniffed out the up-and-coming scenes and visited old classics. I gauge the real success of an assignment on how badly I want to return to a place. This assignment has done nothing to abate my desire to return to South Africa and catch a wave in a pastel sunrise on Durban’s waterfront. Click on a photo below to see it larger. Bonus: Can you find my cameo? Head to a newsstand to read the full story in the current May 2015 issue of National Geographic Traveler magazine and see more photos in an online gallery here. Thanks to the team at Traveler for a great story, especially Dan, Christine, and Jerry. And kudos to George for being such a wonderful travel companion and collaborator! Editor’s Note: The recent xenophobic attacks in Durban and other parts of South Africa are shocking and tragic. If I’ve learned anything from my visits to the country, it is that South Africans are proud, strong and resilient. I hope that this dark, passing cloud is brief over the sun of South Africa. I encourage you to visit this amazing country to see the beauty of its people and culture firsthand.